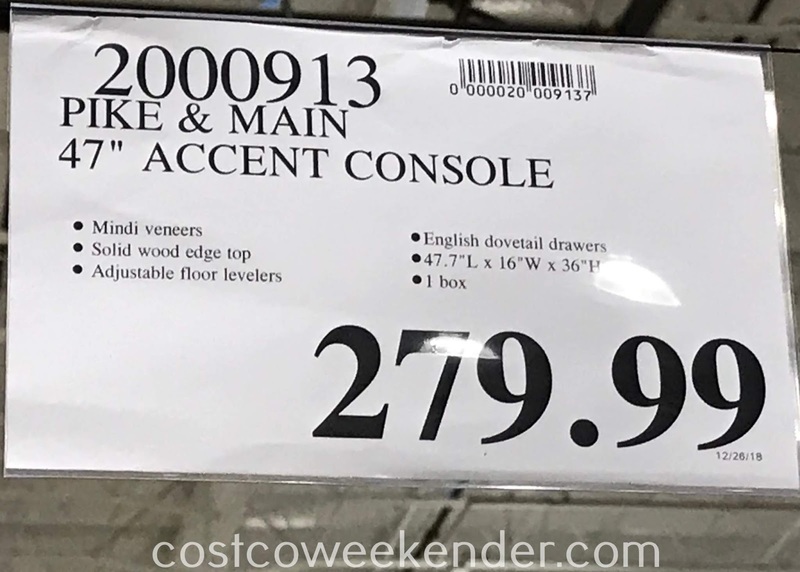 If you need a good piece of furniture for your living room or family room, then check out the Pike & Main 47-inch Accent Console from Costco. 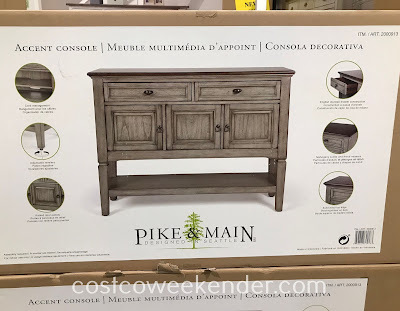 The Pike & Main 47in Accent Console features 2 drawers and cabinets which provide plenty of storage space for your belongings like dinnerware, silverware, keepsakes, mementos, etc. 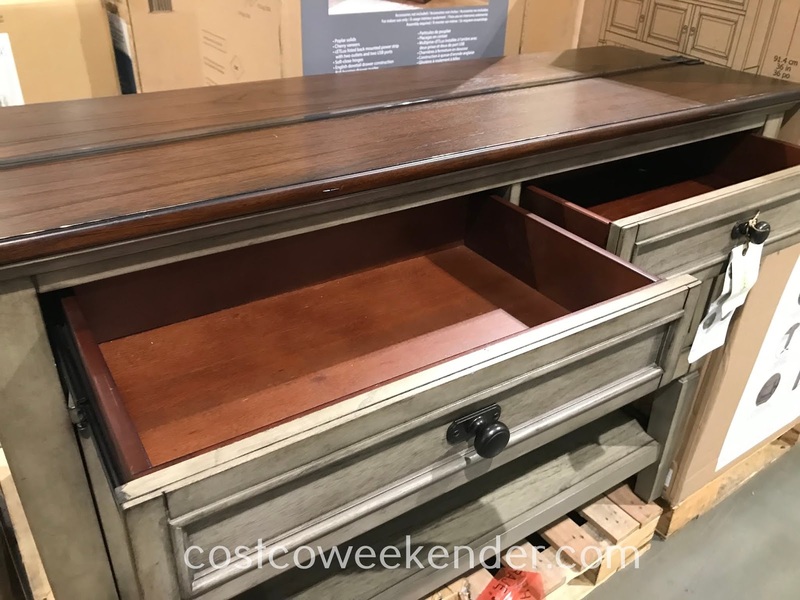 You can even place trinkets, framed pictures, and vases on top of it. 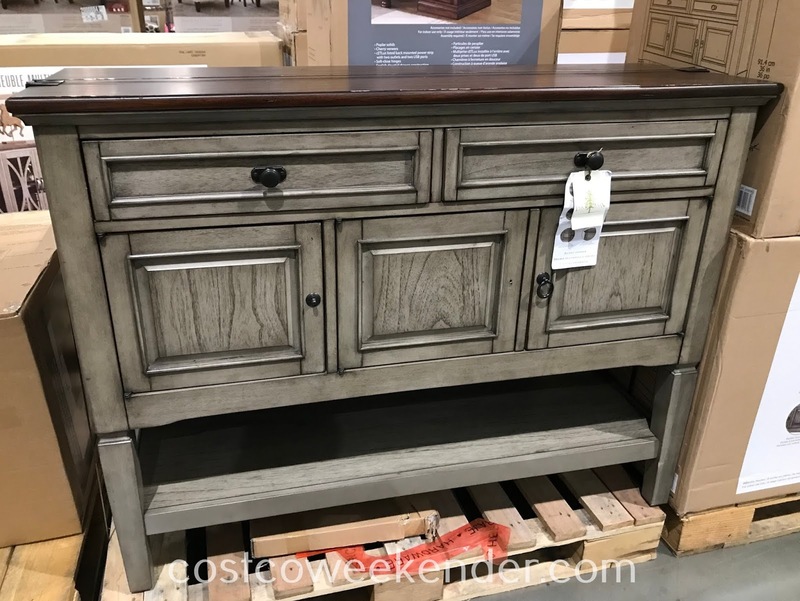 It's rustic look will only add to the charm of your home.